Rasmussen, Jorgen (2007) On SU(2) Wess-Zumino-Witten models and stochastic evolutions. African Journal of Mathematical Physics, 4 1: 1.1-1.9. 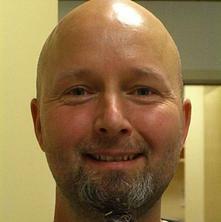 Rasmussen, J. (2004) On string backgrounds and (logarithmic) CFT. African Journal of Mathematical Physics, 1 2: 171-175. Petersen, J. L., Rasmussen, J. and Yu, M. (1997) Free field realizations of 2D current algebras, screening currents and primary fields. Nuclear Physics B, 502 3: 649-670.